Low angle shot of Amaliehaven Fountain outside the Danish Royal Palace of Amalienborg. This is shot during sunset with a yellow glow backlighting the water. hd00:20Low angle shot of Amaliehaven Fountain outside the Danish Royal Palace of Amalienborg. 4k00:21Water spout from fountain sprays upwards on blue sky. Isolated water spray with sun behind, shooting up in air and falling down. Abstract about quenching thirst. 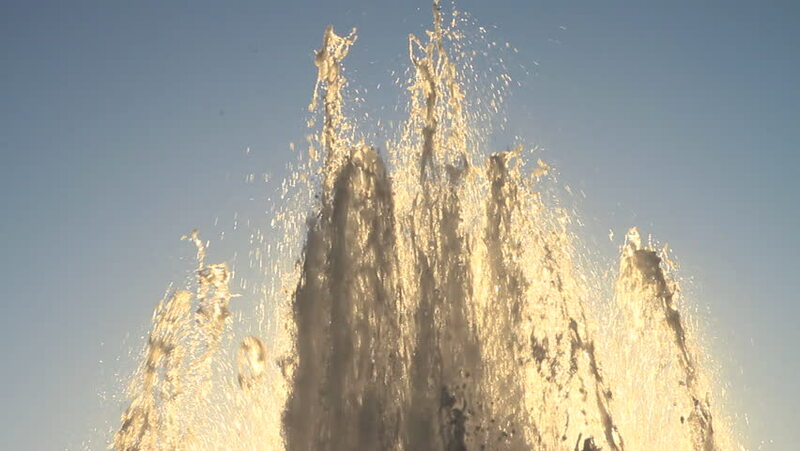 hd00:23Fountain with blue sky, slow motion shot at 120 fps.